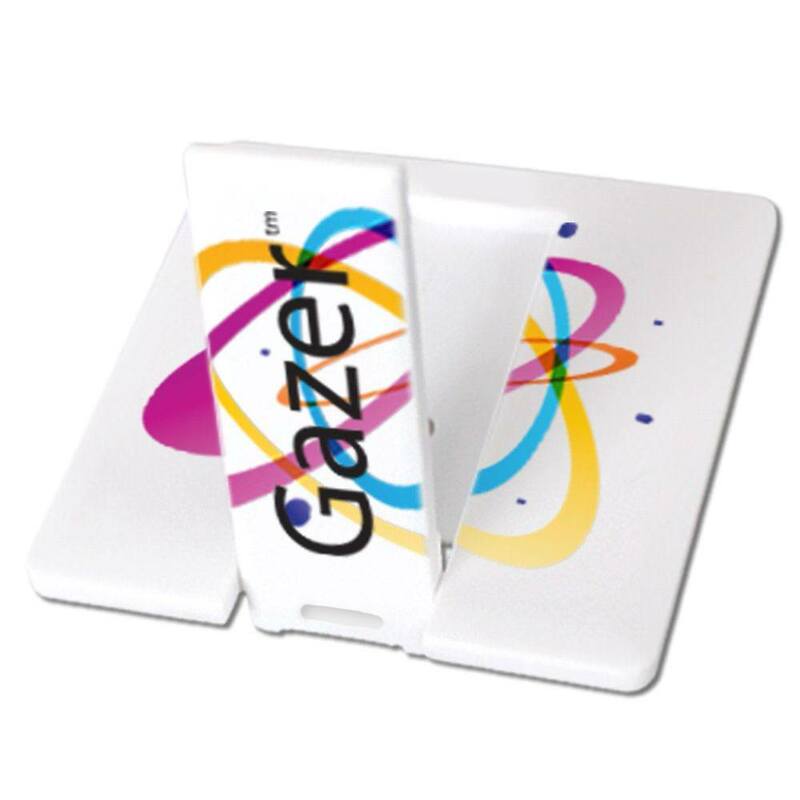 The Mini Card custom USB drive may be small, but its storage capacity and promotional value can be HUGE. 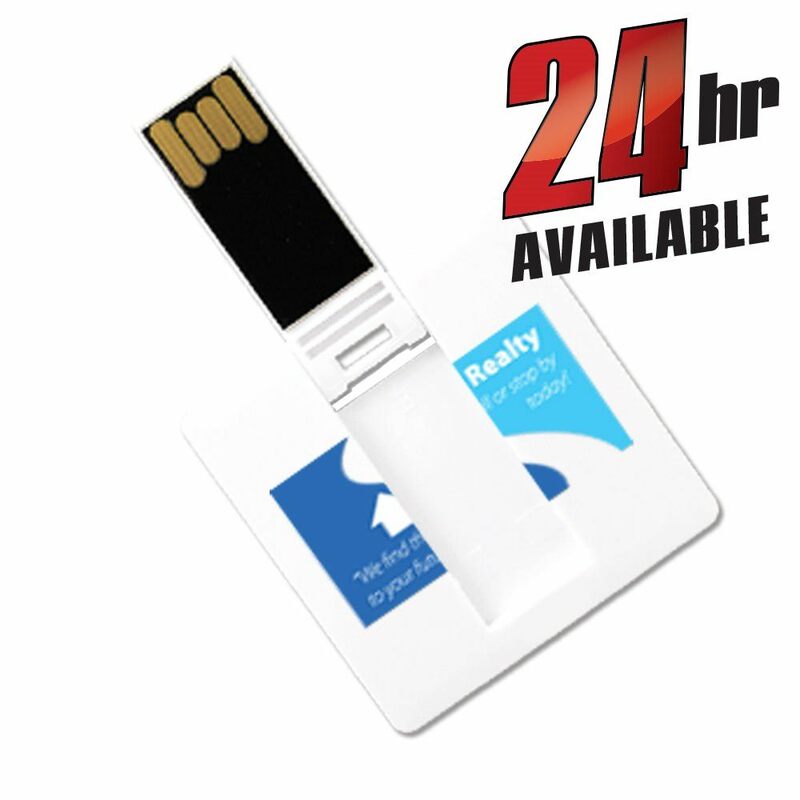 This tiny custom promotional flash drive comes with a swivel USB connector and a built-in key loop for easy transport. It’s square cap-less body is made of sturdy plastic and features a large printable area that you can personalize with our FREE 4-Color Printing. The Mini Card is available with free shipping. Turn times for customizing the Mini Drive are: Standard (10 business days), Express (1-3 business days), and 24 hour availability. Good things can come in small packages. 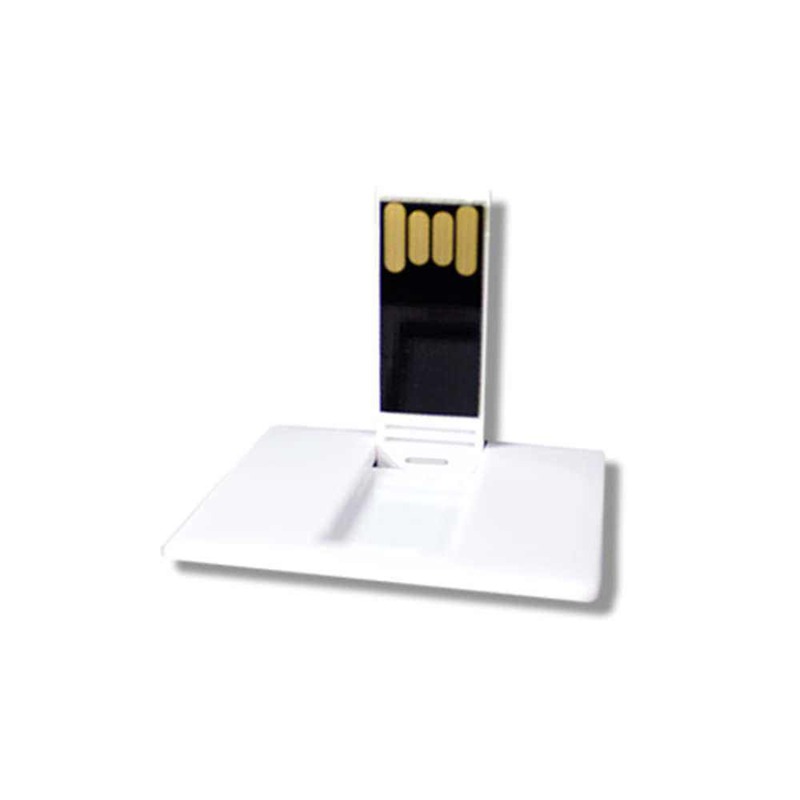 Our Mini Card custom USB drive is a tiny technological marvel, able to handle your data storage needs with ease! 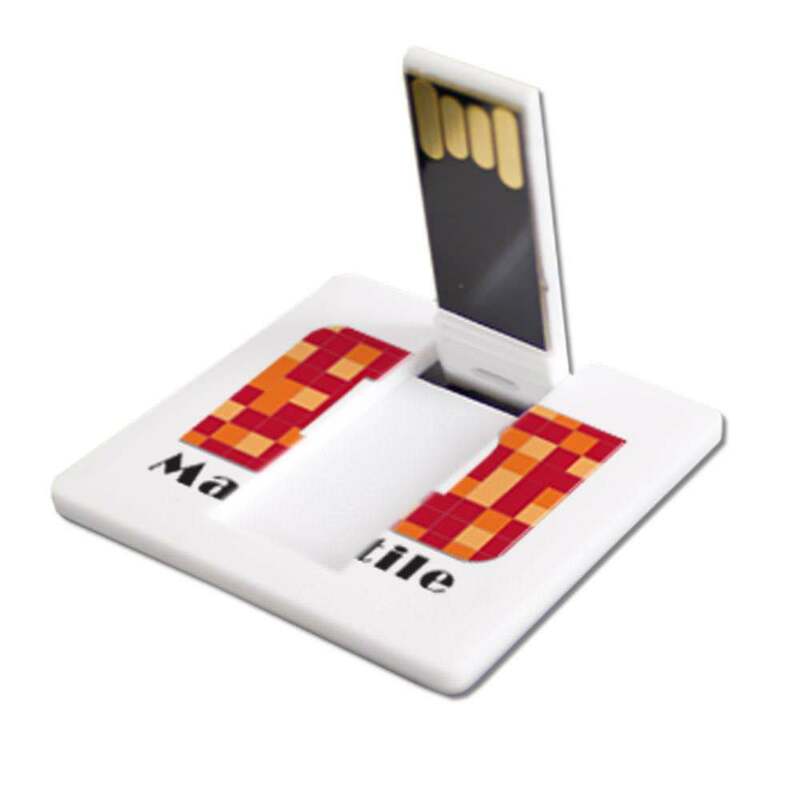 This customizable mini square drive is made out of durable plastic and features a swivel USB connector. It’s capless and comes with a built-in key loop, making it easy to attach your custom Mini Card to keyrings, belt loops, straps, laptop bags, and other surfaces. 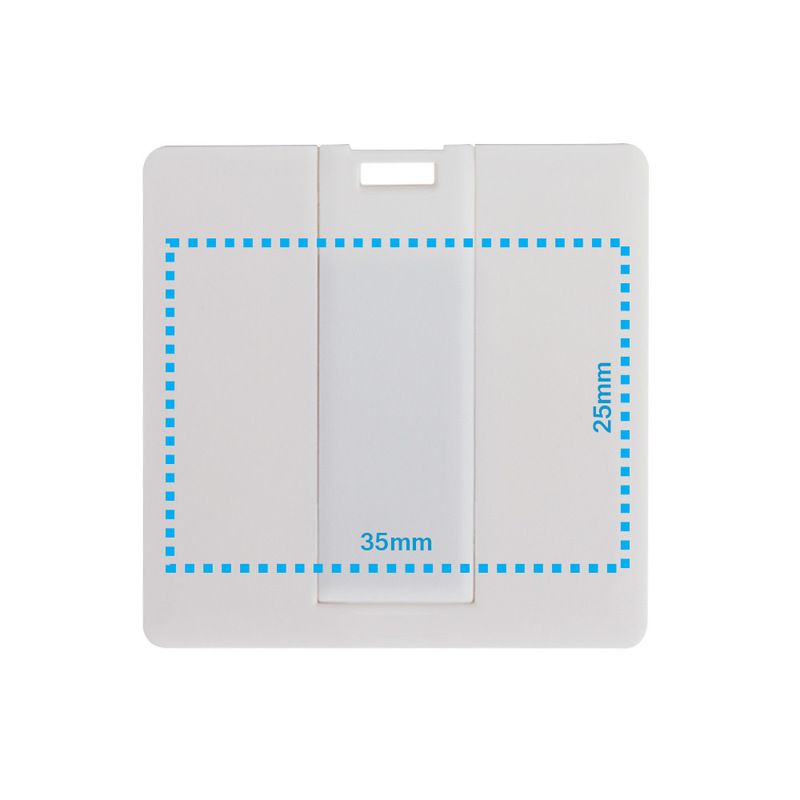 The Mini Card also comes with FREE 4-Color Printing, so you can personalize your drive with your logo or personal band. It has a large printable area that will really showcase your design. The Mini Drive features data storage capacities ranging from 512MB to 32GB, perfect for storing documents, videos, music, pictures, multimedia, presentations, and other files. It has a shock resistance of 1,000G, up to 10 years of data retention, and a limited lifetime warranty. This Hi-Speed USB is compatible with PC, Mac, and Linux. The Mini Card custom drive is available with free shipping. 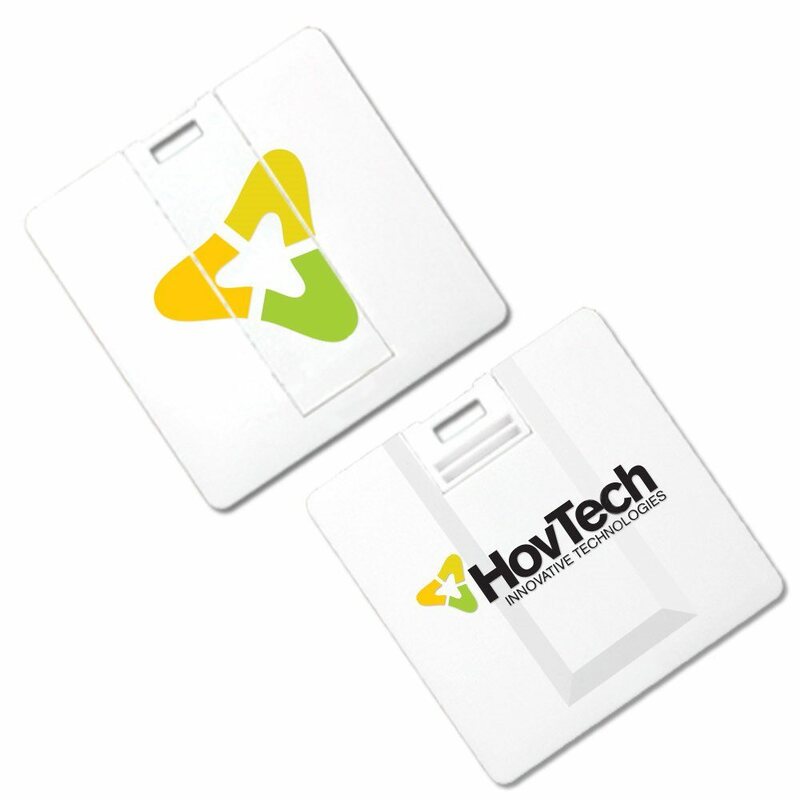 The free 4-color printing can be done in a variety of turn times, depending on how quickly you need it done: Standard in 10 business days or Express in 1-3 business days. We can also produce in 24 hours or even same day!